No marks are allotted for stage-I. However, it should be ensured that candidates maintain Good AP AR and unblemished service record. The written exam will consist of 200 Marks with 3 &frac12; hours duration to assess candidates General Intelligence and Reasoning, General Awareness and Professional Knowledge, Numerical Ability, Comprehension and Communication Skills on OMR system. For qualifying/selection, a candidate has to secure at least 45% marks in each part and 50 % in aggregate. As applicable to SI Direct entry candidates. No relaxation will be given in case a candidate has been appointed in lower rank with the relaxed standard; such candidate will not be eligible to appear in the Limited Departmental Competitive Examination. Those candidates who will be declared successful in written and PST will be called for Medical Test. 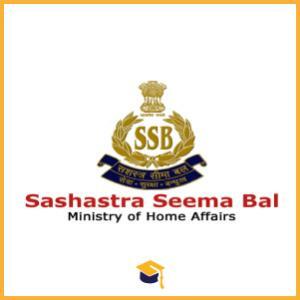 Candidates can apply to the post by sending applications along with the documents to the Directorate General, Sashastra Seema Bal R. K. Puram, New Delhi-110066 on or before 1 April 2019.